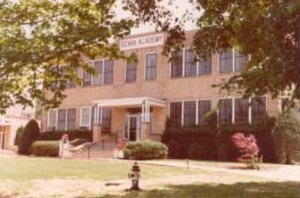 Ozark Adventist Academy provides a safe learning environment, in which students come to discover a love for God, respect for self, and the skills for fulfilled Christian living. ALUMNI UPDATE: We apologize that the recent alumni post card incorrectly listed the HONOR classes for Ozark's annual alumni weekend taking place March 15-17, 2019. The correct honor classes are 2014, 2009, 1999, 1994, 1989, 1979, and 1969. All alumni classes that are 50 years and greater will be honored at our annual Alumni Golden Club Breakfast on Sunday morning in the OAA cafeteria. All Honor Classes will have the opportunity to visit from 3 p.m. - 5 p.m. in the following locations. Honor Class pictures will be taken at each location. Compass Church: 1:30 p.m. - 5:00 p.m. Alumni 50 years and over are invited to join the 50 year reunion class at the Compass Church location from 1:30 p.m. - 5:00 p.m. If you plan on attending, please register below. Ozark alumni, we have set up an e-mail address just for you! To contact the alumni president and OAA staff alumni coordinators simply e-mail alumni@ozarkacademy.org. The Alumni Golf Classic Tournament will be held on Friday, March 15th, 2019 at The Creeks Golf & RV Resort, in Cave Springs, AR. Click the link below for more information. Ozark's yearbooks are scanned and archived! If you are a former student or staff you may access the yearbooks using your alumni username and password. If you do not have a username and password you may register here. If you have any of the missing yearbooks and would be willing to let us scan them, please contact webmaster@ozarkacademy.org. If you are missing a personal copy of a yearbook contact June Melton to see if the school has any available.